As you view this website I pray that you are inspired and uplifted. 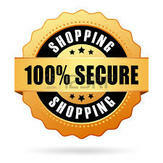 SSL Has Been Enabled On The Store Checkout. Surprise Someone With A StarlingSounds Gift Card. Share The Gift Of Music Today. Click Here To Download 2 Free Tracks from the Mastered First CD. & Review Any Discounts Available At This Time.